Walgreens wants to talk about marijuana. Legislation to establish an industrial hemp pilot program has been given approval by Louisiana’s House of Representatives. The bill’s passage is the first step towards the state’s full acceptance of hemp as a legal agricultural commodity, according to the bill’s primary sponsor, State Representative Jack Montoucet. House Bill 1085 was given approval on Tuesday with a 67 to 25 vote, sending the measure to the Senate with strong bipartisan support. Specifically, the measure would allow either public higher education institutions or the Department of Agriculture to set up a pilot program to explore whether Louisiana should make hemp cultivation legal for commercial purposes statewide. 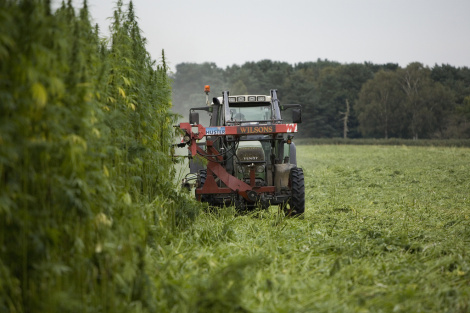 Montoucret argues that legal hemp cultivation would give farmers another viable option for making a living. If passed by the Senate, House Bill 1085 would go to Governor John Bel Edwards for final consideration. The post Louisiana Hemp Bill Passed by House of Representatives appeared first on TheJointBlog.